1. High mechanical strength and high wear resistance enables long term use of the floor, thus maximizing return on investment. 2. Pump application and usability with gravel allowed achieving high thickness economically and fast. 3. Extreme flatness allowed operations run smoothly in the premise. 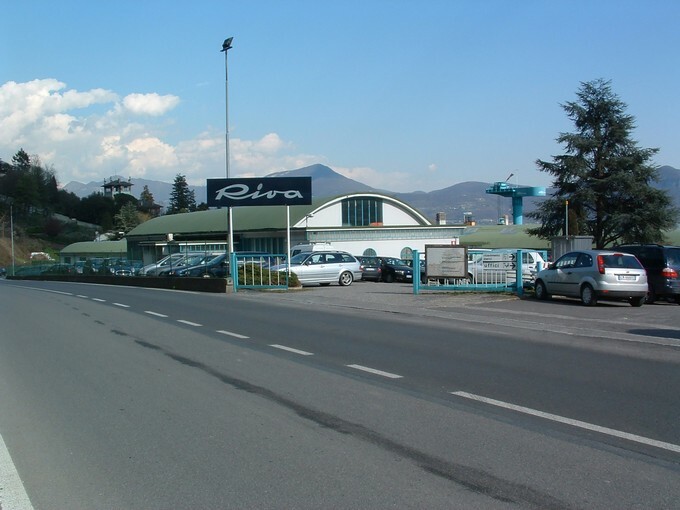 At the Riva Boatyard ships are built or renovated. The hall assembly area had an uneven concrete floor that showed cracks and a bad surface with patchwork that cannot be cleaned. Due to logistical reasons and time constraints, demolishing and redoing the floor from scratch was no option. 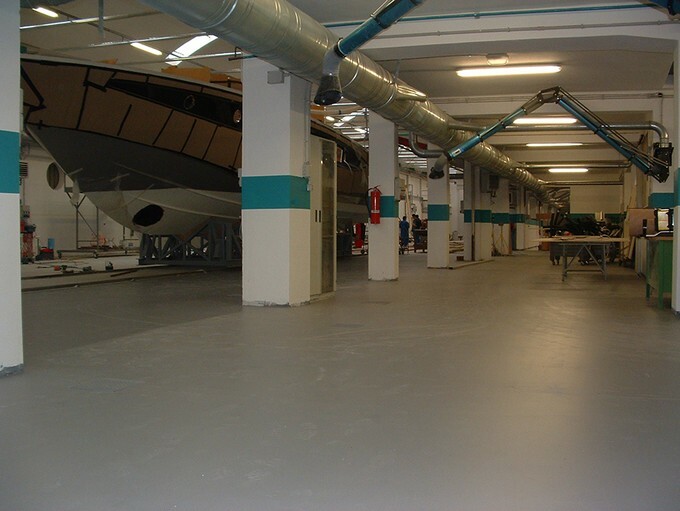 Therefore a fast setting thin-leveling industrial floor solution was chosen that could be applied on top of the existing concrete floor. After preparing and cleaning of the substrate, a gravel layer (particle size 0,8-1,8 cm) was laid 5 mm below the finished floor level. The gravel layer varied in thickness between 1 to 8 cm. Then the weberfloor 4600 Industry base® was pumped with a mixerpump on the gravel layer. 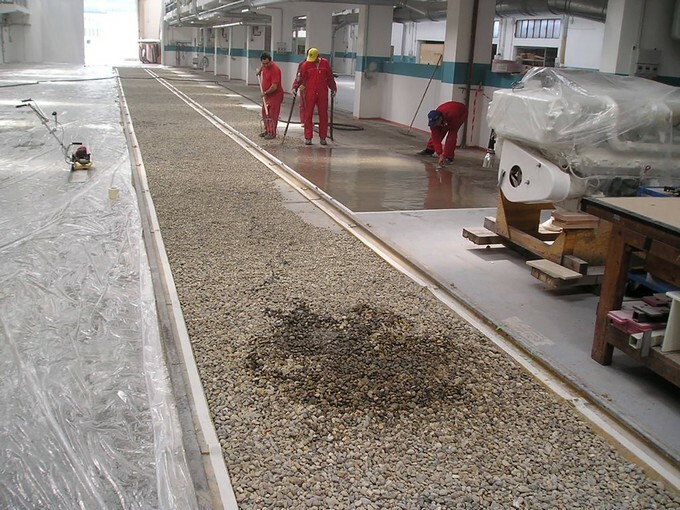 This floor screed is a fiber-reinforced, self-leveling cement based product that, due to its fluidity, saturated the gravel bed completely, filling up all the gaps. In this way a fast hardening base layer was established and it was ready to receive final wearing. The top layer was made with the abrasionresistant and fine leveling product weberfloor 4610 Industry Top in a thickness of 5-6 mm. After approximately 24 hours drying a forklift could be used already on the renovated floor.